David Downing is the author of numerous works of fiction and nonfiction for both adults and children, including Zoo Station, the first novel featuring John Russell. He lives in Guildford, England. 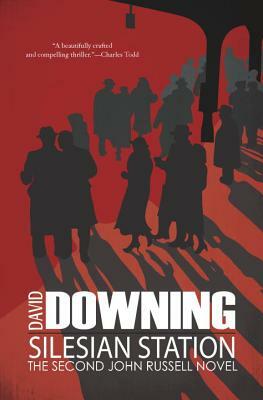 David Downing grew up in suburban London. He is the author of the Jack McColl novels, Jack of Spies, One Man’s Flag, Lenin's Roller Coaster, and The Dark Clouds Shining; the thriller The Red Eagles; and six books in the John Russell espionage series, set in WWII Berlin: Zoo Station, Silesian Station, Stettin Station, Potsdam Station, Lehrter Station, and Masaryk Station. He lives with his wife, an American acupuncturist, in Guildford, England.